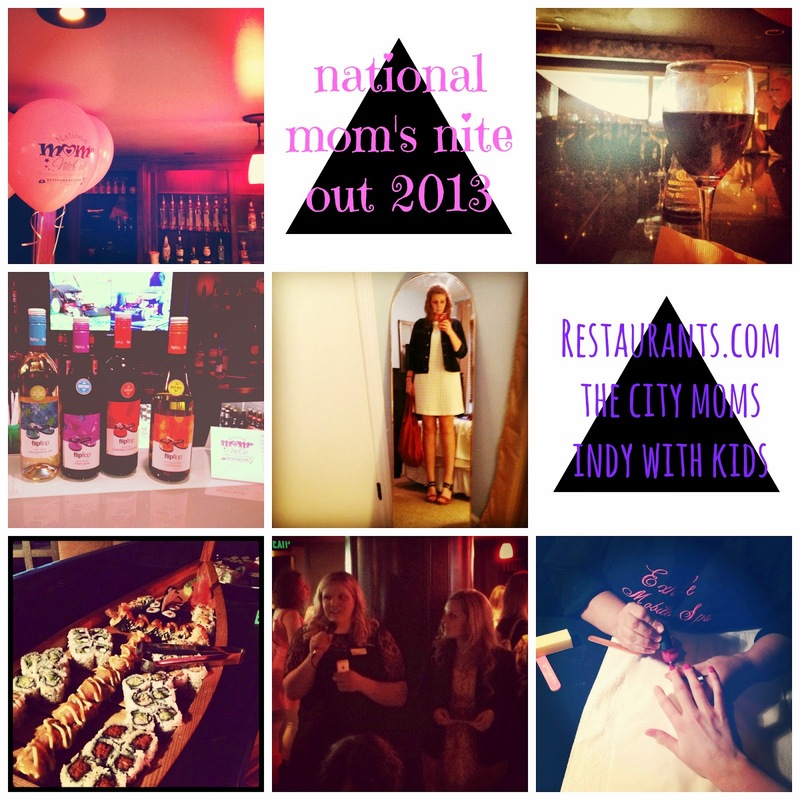 I declare mom’s nite out should be monthly, if not weekly. I declare that every event should come complete with ten-minute manicures, a sushi boat, wine, and social media contests where I win things. I declare nothing wrong with Starbucks cake pops. Nothing at all. I declare everyone should shop at JC Penney now because have you seen their clothes? I got a coupon in the mail recently and decided to check it out. I was shocked at their clothes and prices. Guys, I’m serious, finish reading this post and then go to JC Penney. I declare that all cities should have fun social groups like theCity Moms and Indy with Kids so that new people (or someone who has lived in a place her whole life) can feel connected and supported. I declare that new shoes and a dress will make even a rainy night feel glamorous. I declare that everywhere I go should have swag bags full of treats and surprises. I declare that a fashion show inside a bar at an amazing sushi place is always a good idea. I declare that Restaurant.com puts on a great shindig and has some crazy food deals. And I wasn’t asked to say that, I just believe everyone needs to know a good place to save money. I declare national mom’s night out a success. Thanks for having me, guys. It was great fun.